To end the year on an amiable note, a group of our PLRC law librarians visited the University of Chicago’s Law School in early December. We met with UChicago’s law librarians to discuss pressing issues facing our resources and special collections, creative solutions for patron needs, and future innovations. Dialogue between professional peers allows for the informal transfer of ideas, resulting in an enhanced understanding of common challenges and improved user services through knowledge sharing. 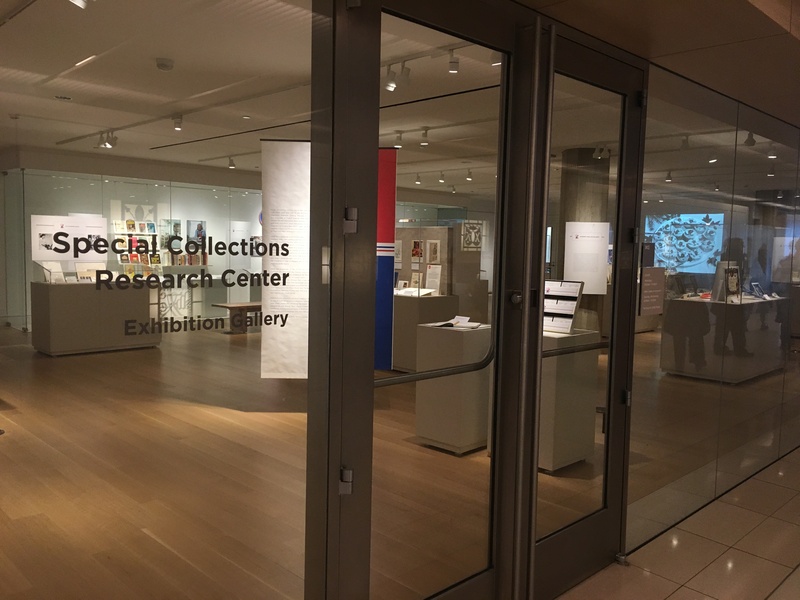 Several years ago, a group of UChicago law librarians visited Northwestern to begin this collaboration, and at the conclusion of 2016, the conversation continued. After small and large group discussions, we toured the D’Angelo Law Library, Law School, Regenstein Library, and state-of-the-art Mansueto Library. The facilities were impressive, the company informative, and most importantly, open lines of communication were affirmed as we move into 2017 and the future of law libraries. 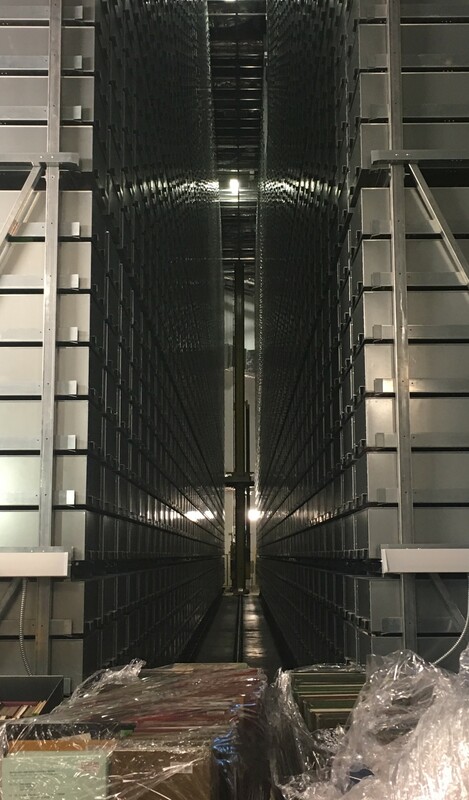 A behind-the-scene’s view of Mansueto Library’s underground automated storage and retrieval system. Books in the foreground will be loaded into bins and moved by this industrial crane to the long-term, high-density storage shelves.